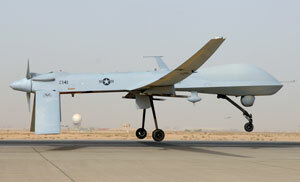 The use of unmanned drones to target and kill individuals is a profoundly new way of waging war. For the first time, military and intelligence officers can observe, track, and launch missiles at targeted individuals from control centers located thousands of miles away, without any significant U.S. presence on the ground. The technology also permits the United States to target individuals nearly anywhere in the world…. The ACLU believes that the use and proliferation of this tactic must be the subject of public scrutiny and debate. But the government has released essentially no information about the legal basis of and limits on the drone program, or its scope and consequences. The public has been kept in the dark and is therefore unable to assess the wisdom or legality of the strikes. Commentators on all sides agree that these are not questions that should be decided solely by technocrats behind closed doors. In order to fill this void, the ACLU is asking the government to release basic information about its use of drones to execute targeted killings. This seems like an eminently reasonable request that can be mostly complied with without violating national security. We’ll see what the Obama adminstration thinks.